Only a few days ago, via the ubiquitous internet, a number of Orthodox Christians discovered that a new brother, Matthew Heimbach was welcomed into our midst, a member of an openly pro-White organization, the Traditionalist Youth Network. At least four of you are recent additions to Orthodoxy, “adding an element of Christian fellowship to its activities and a stronger unity to [your] cause.” On Bright Monday, you attended a counter-protest, which resulted in the beating of a man while holding, perhaps even using, an Orthodox cross. Thomas Buhls touts this event as a defense of the faith. Frankly, it is difficult to know where to start, how to even begin addressing the distortions of Christianity which you present as its core tenets, or to believe that given your ideological convictions that anything I say will be persuasive. Many in the Eastern Orthodox blogosphere have openly wondered how one of you could have been welcomed into Orthodoxy, if your priest knew of your beliefs before your Chrismation, and whether you should be permitted to continue as a communicant in the Orthodox church. The irony is, we have canons forbidding many things. Racism is not one of them. So, let me start by welcoming you into the home I love. As untenable as I find your beliefs about “Faith, Family and Folk,” this is not a reason to reject your presence in my community. The truth is, I simply don’t believe that we can revoke a baptism which is God’s, and I have yet to see excommunication be an effective tool for healing and restoration. Rather, it is participation in the eucharist, the “medicine of immortality”1 which enables those of us who have been “baptized into Christ to put on Christ” (Gal 3.27), a refrain you have undoubtedly heard many times, perhaps even in various languages, during this Paschal season. It is, of course, meant to recall the fruit of putting on Christ, that in Christ “There is no longer Jew or Greek, there is no longer slave or free, there is no longer male and female; for all of you are one in Christ Jesus” (Gal 3:28). My prayer is that you can experience the healing offered by God by eating at our shared table. While these examples may seem extreme to many North American Orthodox, our own relationship with racism is checkered. Every January the famous Life magazine image of Abp. 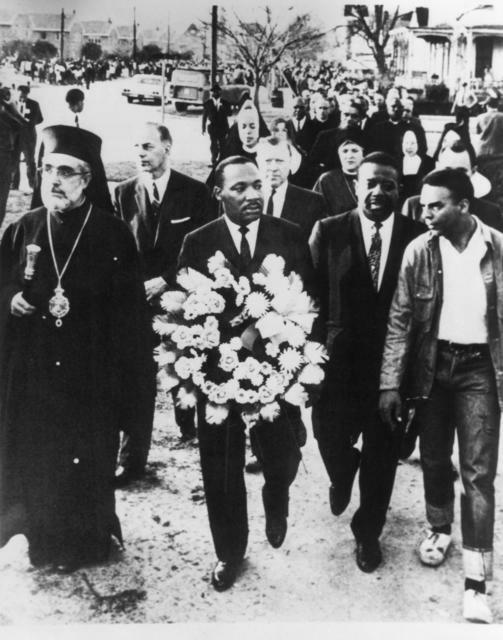 Iakovos (GOA) marching with MLK in Selma appears on all over the web , but it is rarely mentioned that his fellow Orthodox repudiated his actions: when he “appeared for scheduled events at his next stop, and he found himself alone in a Charleston hotel room..” Our love of our “Folk” as you call national, ethnic and racial groups, rarely takes the form of overt racism where we explicitly deny another “Folk” political and economic power. Rather, we snipe at one another over what constitutes appropriate music in church, unison, melismatic chant or polyphonic harmonies (the introduction of which is often seen as a negative encroachment of the West you so vociferously defend).2 As still-partially-immigrant churches, we struggle with what language to use, and how to accommodate multiple generations of increasingly ‘hyphenated’ Americans, and to whom we will be neighbor. I recall a perfectly vibrant ministry to men and women transitioning out of homelessness that was shut down because “we really should be focusing on our [ethnic group] shut-ins.” The ambivalence directed by our Patriarchs towards Orthodoxy in the Western Hemisphere hardly masks both the political gamesmanship underlying rival jurisdictional claims to Orthodoxy in America. This checkered past, this ecclesial and episcopal ambivalence, reveals that we have responded to the challenge of diversity (which you claim “simply means white genocide”) in a manner very similar to what you advocate, by separation. The truth is, separation is easier. We do not gravitate towards ethnically comfortable parishes because we believe that separation is necessarily “more productive as you claim,” but certainly because it is more comfortable, easier, and sometimes safer. For immigrants coming to a new land, especially immigrants of color, seen as competition for a limited labor-pool by yours (and my) white immigrant ancestors, gathering in familiar surroundings is essential. Sometimes, staying with your folk is a matter of safety, just as you claim. “Loving one’s people” which appears to be synonymous with racism, “is natural.” Oddly enough, I agree: it is always easier to love your own. Even Jesus acknowledges this, with a twist of course. As an Orthodox Christian I believe in the separation of races into ethnically based Church’s [sic]. That is why even in Orthodoxy there is for instance a Greek, Russian, Romanian, Serbian, etc Orthodox Church. Regional and racial identity is a fundamental principle of Christianity, must to the dismay of Leftists. I believe black Christians should be in their black Church’s, with black priests, having black kids, going to black Christian schools, etc. “Orthodox Mike” engages in one of the more bizarre Trinitarian theologies I have encountered, likening Father, Son and Spirit to Body, Mind and Soul (a quite patristic analogy), to “Faith, Biology, and Culture,” claiming that an attack on “the People”, the Folk, is tantamount to the heresy of attacking the Trinity (I thought that the misuse of Trinitarian doctrine to justify hierarchical sexism was egregious, but at least the men of our church aren’t actually wanting to kill the women. In light of this, a small, but real, comfort). The goal of your movement is to create racially separated regions of the United States governed by a fascist system, the achievement of which will inaugurate a final war in which the races fight until the last man standing. Racism is “natural” and must be defended by an Orthodox militant Christianity. There are of course, saints who belie your beliefs, The Aleut St. Jacob Netsvetov who is remembered for his service to the many “folk” of Alaska, the Tlingit, Yup’ik, learning languages new languages and planting churches. The Arab St. Rapheal Hawaweeney of Brooklyn, who served churches of all ethnic stripes all across North America in an effort to ensure that Orthodox immigrants could worship within their tradition at least occasionally. St. Maria Skobtsova, who lost her freedom and eventually life protecting Jews from the very fascism you advocate. Hoffman: If we release you, will you give an undertaking never again to aid Jews? Klepinin: I can say no such thing. I am a Christian and must act as I must. Hoffman (striking Klepinin across the face): Jew lover! How dare you talk of helping those swine as being a Christian duty! Klepinin (recovering his balance, held up the cross from his cassock): Do you know this Jew? 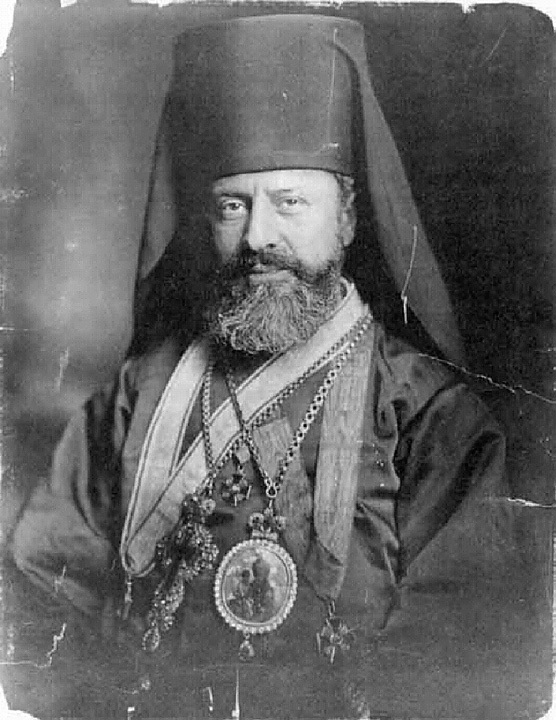 The concept of the nation cannot become a determining factor of Church life or an axis of Church organization…Whenever an Orthodox church succumbs to nationalist rhetoric and lends support to racial tendencies, it loses sight of the authentic theological principles and gives in to a fallen mindset, totally alien to the core of Orthodoxy. The problem is that there is no easy solution to this predicament. Separation is often easier, and sometimes, the only possibility of safety. My WIT colleague has warned that “the framework of reconciliation, even when it attempts to speak about justice, values the confession and the future to come above the present.” We need to acknowledge our mixed and ambivalent present. Therefore, I stand by my welcome to you and your folk. But I must confess, my first instinct was separation: I wanted you out of my church. Your presence among us may be dangerous. You celebrated Bright Monday with a protest, as is your right as an American citizen. But this protest resulted in a beating. Tell me, will you beat an Orthodox Christian who objects to your racism? Will you beat any Christian who objects to your racism? The term phyletism was coined in 1872 at local Orthodox Synod which was pan-Orthodox in attendance. The meeting was prompted by the creation of a separate bishopric by the Bulgarian community of then Constantinople for parishes only open to Bulgarians. I frankly neglected to mention this in my post (It is in my notes!). However, I am ambivalent since many seem to think that this condemnation is enough. Yet phyletism is alive and well and ethno-specific parishes are openly defended by current Patriarchs. In reality, this is probably THE issue that will either make or break the Synod which will be convened in 2016. Reblogged this on The Poustinia. Steve, in posting your comment, I lost the link to the PDF. If you can please add, I would like to read it. And FYI: this is not a self hosted WP blog. It looks like it didn’t like the user you were logged in as. Odd. Matt Parrott, I will take the time to write response to this. Then we can re: re: re: re: ourselves into the eschaton. Let me get this straight Constantinople condemned the Bulgarians for having there own ethnic church in Constantinople. Meanwhile she has insisted on foisting her Hellenism throughout the non-Hellenic world? She even went so far as forcing her Liturgy of St. John Chrysostom on Antioch who had it’s own Liturgy (the Liturgy of St.Mark of Alexandria which was suppressed in the 13th century by Patriarch Theodore IV Balsamon). NO, I am not quite sure what you want me to explain. 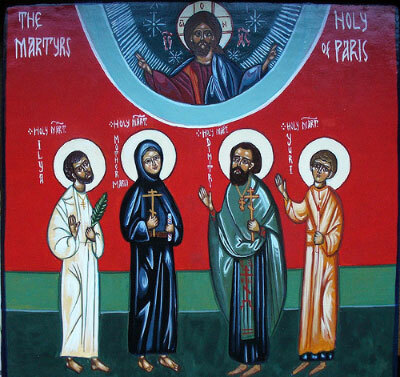 I have never heard of the Liturgy of St. Mark, but then I am not a liturgist. As for the inconsistency between a debatably pan-Orthodox synod condemning phyletism while having a history of engaging in it, well, that is sort of my point. Orthodoxy struggles with the very thing we consider a heresy, and our continued struggle which has more to do with power and influence than the good news of Christ. the consequence is that it makes us appear inviting to those with extreme beliefs. As an African Orthodox young man,“I have decided to stick to love…Hate is too great a burden to bear.” MLK. Christ is Risen…..”, but the man is right. This is world we live and these are the demands.